The NAACP’s Economic Social Justice Program seeks to achieve racial economic equality by enhancing the economic capacity of African Americans and other underserved communities across Pennsylvania. Many economic and social justice issues are faced in Pennsylvania including disproportionate wages and high employment, fair and equal housing opportunities, poverty and homelessness issues. The Pennsylvania State Conference Economic Department recognizes the importance of the state’s economy and economic issues faced by African-Americans and all racial ethnic groups in Pennsylvania. Our Economic Social Justice Program provides resources on economic education, inclusion and job creation, monitoring financial institutions, promoting growth of business ownership, mentoring, home ownership, and promoting economic development. We have partnered with the Consumer Protection Financial Bureau, Banking institutions, community organizations, Pennsylvania Community and Raise the Wage PA and other community stake holders in Pennsylvania launch a Financial Freedom Campaign. 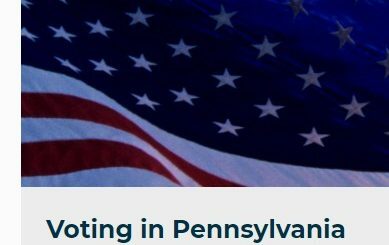 We need your engagement and support to help raise Pennsylvania up towards the top of the economic ladder and closer towards financial freedom! Get excited about becoming financially empowered and join the Financial Freedom Campaign today! The NAACP Job Finder connects members with reputable companies searching for professional and qualified employees. Visit often and use the Job Finder tools to help define your next career move. The NAACP Economic Programs department release several reports annually which highlights the pressing economic issues affecting the African American community as well as recommendations on how to address these economic issues. The department provides economic education resources, including curriculums, presentations, fact sheets, toolkits and resource guides which are a great training tool to share with and distribute to your communities. Power point presentations on a range of economic issues affecting the African American and other underserved communities are available here. The NAACP has established partnerships with reputable organizations nationwide to provide financial services and education in your local community. We encourage you to work with these organizations to build economic empowerment in your community. Lack of wealth is one of the greatest detriments to socio-economic well -being. The concentration of wealth in fewer and fewer hands has become an important subject of national debate, however the crisis of the racial wealth divide has still yet to be adequately discussed. With the onset of this most recent Great Recession, the racial wealth divide in America is at its highest level in recent economic history. From 2005 to 2009, median wealth plummeted by 66% among Hispanic households, 53% among black households and 31% for Asian households compared to 16% among white households. People of Color’s large loss of wealth is a consequence of the little wealth and or economic insecurity these communities had before the great recession relative to white Americans. Those with greater wealth and multi-generational economic security have best been able to diversify their assets into stock, bonds, etc in addition to home ownership. Those with little wealth or newly acquired wealth are more likely to solely invest in home ownership and some basic retirement plans; so, the sharp decline in the value of homes hurts disproportionately those with limited amounts of wealth. Even more problematic, about a third of black (35%) and Hispanic (31%) households had zero or negative net worth, compared with 15% of white households. These findings underscore the urgency for progressive policies and wealth building practices to address the racial wealth divide as it significantly affects the economic future of a nation that is rapidly becoming majority minority. Looking at the state of economic inequality today, the NAACP Economic Department is committed to meeting these challenges through capacity building and training of our units at conferences, building strong alliances with other organizations, advancing economic education that provide a racial economic analysis, strengthening economic resources for our constituents and ensuring they have access to the best financial information. • Empower local communities with the necessary education, resources and partnerships to develop sustainable economic models that advance diversity and equity. • Ensure that government and industry are knowledgeable, and committed to bridging racial inequality particularly as it relates to employment, wealth, lending and business ownership. • Grow a movement of concerned citizens and organization who work together to produce an inclusive and strong middle class economy for the 21st century. The NAACP Financial Freedom Campaign is based on the theory that organizing and community mobilization, improved access to quality products and services, and monitoring to ensure the absence of discrimination, results in improved financial security and economic solvency. The NAACP engages in advocacy efforts specifically targeting industries with the greatest potential to influence job creation and advancement (at multiple job classification levels) and wealth building (as measured by ownership, development, contracting, and supplier diversity) in African American communities, and other communities of color. The NAACP has developed nine banking principles concerning fairness and mortgage lending to encourage transparency and fairness in the processes associated with obtaining quality loans and improving the relationships between financial institutions and people of color and other historically disadvantaged borrowers. The NAACP promotes racial equity in community economic development and strengthening the economic fabric of communities of color through supporting the creation and growth of small businesses, individual wealth building primarily through matched savings accounts, and community asset building. For more information about the Pennsylvania State Conference Economic Department. Please contact, Blanding Watson Economic Chair at 717.617.4859 or email me at bwedu.lnaacp@gmail.com.